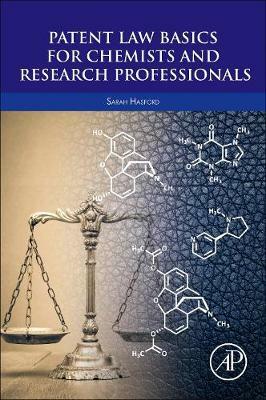 Patent Law Basics for Chemists and Research Professionals provides an accessible overview for chemists, research scientists, pharmaceutical researchers and R&D executives. The book discusses the types of inventions patented in the life sciences, and in the chemical and pharmaceutical technologies, covering the basic legal requirements for obtaining a patent, along with common application mistakes. Delving deeper into what can be a mysterious process to the outsider, the book also explores relevant case law and typical patent litigation. Beginning with the basics, this useful primer introduces the reader to patents, patents rights and other types of intellectual property, such as trademarks and copyrights. A sample patent is dissected to explain its various parts and interpretation. By providing chemists and research professionals with a better understanding of the information needed to obtain the strongest possible patent protection, scientists can work with patent professionals more effectively, thereby enhancing the strength and value of patents with which they are involved.